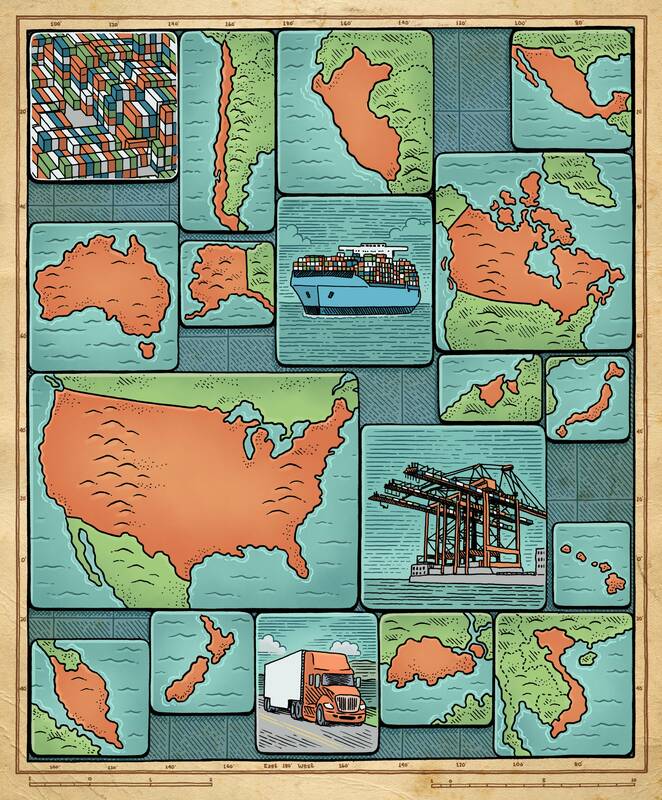 The Trans-Pacific Partnership is not perfect, but it is the best deal we are likely to get. TPP is a progressive agreement that takes new steps in a major regional trade deal, says Tuck Professor Emily Blanchard. The Trans-Pacific Partnership is under siege, with presidential candidates on both sides of the aisle voicing increasingly protectionist rhetoric. Progressives, however, are making a mistake. As late as last summer, there was ample reason to be skeptical of the still-secret agreement. It seemed unlikely that the negotiations would protect workers’ rights and the environment, while not letting multinationals write the rules of the game. Surprisingly, this is what the final agreement delivers. TPP is not perfect, but it is a genuinely progressive agreement that takes unprecedented new steps in a major regional trade deal. It is therefore a disappointment that many of the nation’s leading progressive politicians continue to speak out against the pact. Bernie Sanders has decried TPP as a “disastrous trade agreement designed to protect the interests of the largest multinational corporations at the expense of workers, consumers, the environment, and the foundations of American democracy.” Hillary Clinton faults the agreement for disproportionately benefiting pharmaceutical companies and costing American jobs. Elizabeth Warren has voiced sharp opposition to the provision that allows companies to mount legal challenges to sovereign nations. To be clear: these are legitimate concerns. But it is not enough for progressive leaders to raise alarms. We need serious, sober consideration of exactly what TPP is—and what it is not—in order to understand whether its benefits outweigh its costs. At its core, TPP is about applying a consistent set of standards to global supply chains—rules that reflect American values. We need serious, sober consideration of exactly what TPP is—and what it is not. Trade today is far more complex than ever before. Nearly every product that touches our lives has been conceived, designed, and assembled in multiple countries, tracing sinuous and sometimes murky paths that consumers have neither the time nor the information to unravel. No matter how vigilant and well-intentioned customers may be, there is no way to opt out of global commerce and the sometimes-questionable practices it embodies. The TPP is an attempt to address this modern dilemma, using free trade with the U.S. and other major markets as an incentive for signatory nations to follow a basic global code of conduct. Crucially, TPP’s rules would be enforced through a dispute settlement panel that aspires to be unusually transparent and expeditious. This “deep” agreement approach is in sharp contrast to the status quo of “shallow” trade agreements, which effectively take a pass on addressing difficult but vital environmental and labor issues. TPP’s promise of a new progressive rulebook—one that includes enforceable agreements against child labor and workplace discrimination; measures to punish illegal logging and trade in protected species; and protections against consumer fraud—would mark a substantial step forward in the progressive policy agenda on the global stage. Even TPP’s provision on Investor-State Dispute Settlement— Senator Warren’s chief concern—offers substantial new protections relative to the existing measures it would supersede. There is no doubt that by cutting tariffs, TPP will create losers as well as winners, and the burden of job losses will likely be borne disproportionately by those workers already struggling from earlier waves of import competition and technological change. But continuing mechanization and inevitable shifts in what America is best at making will cause far more job displacement than proposed tariff cuts ever could, especially from the U.S.’s already very low tariff rates. Progressives need to acknowledge this truth. Squabbling over a (relative) handful of specific job losses in TPP only delays an increasingly urgent national conversation about inequality, good jobs, and opportunity. American workers would be far better served if progressives focused instead on implementing comprehensive improvements in education, job search and relocation allowances, and income support that help everyone cope with rapidly evolving labor markets. The TPP is not a referendum on globalization. Rather, it is about what we want global trade to look like in the future. It is an agreement that aspires for a better way of doing business in the world. If ratified, TPP would bring enforceable, progressive standards of conduct into as-yet un-policed policy areas that are currently the wild west of global trade. Add the well-recognized benefits of improved customs transparency, consumer protections, and improved market access, and the benefits of TPP are substantial. The agreement is not perfect—intellectual property rules are unarguably a compromise and some disciplines could be stronger—but we need to be pragmatic. Renegotiating the agreement is simply too risky—there is a very real prospect that our trading partners would refuse. And if TPP fails, there is every reason to expect that China would write the rules instead, with a far less progressive agenda. No, TPP is not perfect, but it is the best deal we are likely to get, and it is certainly better than nothing.